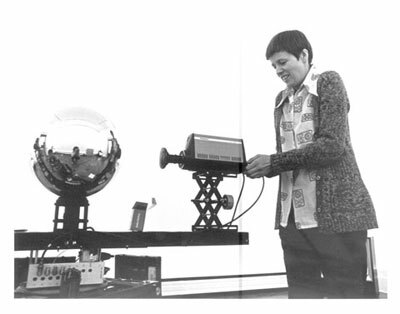 The legendary video pioneer Steina Vasulka demonstrates the digital tools she has developed, as well as some of her real-time, audio-visual environments. 6 p.m. Free. Bring a photo ID. No admittance after 7 p.m.
Steina will also perform as part of the OptoSonic Tea series on Saturday, October 15 9 p.m. at Experimental Intermedia, 224 Centre Street at Grand, Third Floor.